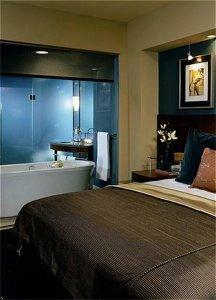 Choose from our wide selection of hotels located in and around Seattle. Whether you’re looking for budget hotels, resorts, or luxury hotels, you’ll find the best accommodations at the best prices. Stop wasting time and make your reservations online now! 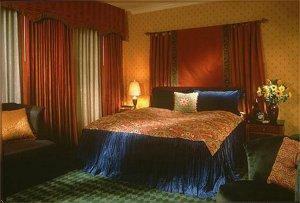 The Alexis Hotel has presided elegantly in the heart of downtown Seattle since the turn of the century. Listed on the national register of historical places/graceful refinement and warm hospitality continue to make the Alexis Seattle a premier hotel. Guestrooms are warm and rich/with an eclectic mix of traditionally patterned fabrics and a scattering of antiques 39 of the 109 rooms are exceptionally spacious/elegant suites with some featuring wood burning fireplaces or two person spa tubs and graciously appointed sitting and dining rooms. Perfect for the discriminating traveler. The Crowne Plaza Hotel - Seattle offers a superb location in Downtown Seattle, close to everything great in the Pacific Northwest. A few blocks from the Crowne Plaza Hotel - Seattle, you can explore the historic Pike Place Market or the new Seattle Central Library; catch a Mariners game at Safeco Field or a Seahawks game at Qwest Field in Pioneer Square. Walk two blocks from the Crowne Plaza Hotel - Seattle to your meeting at the Washington Convention & Trade Center, then indulge yourself at hundreds of downtown stores, including Westlake Center and Pacific Place shopping malls. Grand Hyatt Seattle opens as one of the "smartest" contemporary luxury properties in the world with the fastest and most innovative Internet technology available today. Exquisitely appointed with natural woods and native stone to reflect the surrounding Norwest's abundant beauty. Find unexpected pleasures around every corner at Hotel 1000, the premier luxury hotel experience of the West Coast. Talented- gracious staff delight and pamper guests with warm- genuine and caring service. Seamless- how-do-they-do-that moments of surprise and delight- along with personalized- tech-enabled- from-the-heart- consistently excellent service define Hotel 1000. Creatively Mediterranean, the beautiful 11 story, 189 room Hotel Monaco has been acclaimed as one of the world's hippest hotels by In-Style Magazine. Located within walking distance to the waterfront and Pikes Market, convention centers, shops and the Seattle Art Museum. Hotel Vintage Park, with its vibrant jewel-toned lobby and large European fireplace, beckons you to experience the warmth and hospitality of the Mediterranean - all within the shadows of a very modern neighbor. Originally built in 1922, Hotel Vintage Park is currently listed on the National Register of Historic Places. Just a stone's throw away from magnificent Elliott Bay, the new Seattle Marriott Waterfront is prominently situated within Seattle's thriving waterfront community and is adjacent to the seventy-eight thousand square foot Bell Harbor International Conference Center on Pier 66. With its prime central location, the hotel is within easy walking distance of downtown Seattle and its major attractions such as Experience Music Project, Pike Place Market, Seattle Aquarium, Seattle Center and the Space Needle. Ferry terminals, the financial district and shopping venues are also just minutes away. Crowning the crest of Downtown Seattle's "First Hill" neighborhood is the historic, 7-story Italianesque Sorrento Hotel. 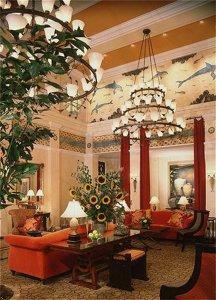 This exclusive address offers the finest in hotel accommodations along with the latest in technological advancements. The Sorrento's keen sense of detail is evident within each of the 76 guest rooms and suites enhanced by the 2002 renovation. 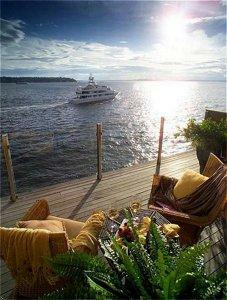 Perched over the waters of Elliott Bay, The Edgewater is Seattle's only waterfront hotel. A unique, dramatic lodge offering the comfort of overstuffed chairs and fireplaces accented with pine furnishing, The Edgewater captures the true essence of the Pacific Northwest. An impressive welcoming, floor-to-floor lobby windows feature panoramic views of Puget Sound and the Olympic Mountains. 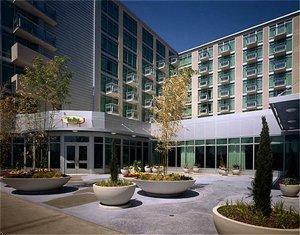 The Westin Seattle is your front door to the Emerald City, the jewel of the Pacific Northwest! An ideal urban retreat, we are just steps away from the Washington State Convention Center, Pike Place Market, and Seattle's most enticing shops. We are one of only two hotels in the city offering unobstructed views of Puget Sound, Lake Union, and the Seattle skyline. Standing as a beacon in the thriving heart of Seattle, W Seattle is a premier destination for the savvy traveler. Reminiscent of some of Seattle's classic towers, W Seattle combines elements of the city's architectural history in a modern interpretation of the northwestern regional style. Crowned with a steel-and-mesh pyramid, the hotel gives off a magical glow 26 stories above the street that evokes the energy of this cutting-edge city.